Our Flagship Store Molteni&C | Dada in Corso Europa, located within the Durini Design District, is pleased to invite you to a new edition of Durini Night! On the occasion of the Milan Furniture Fair 2019, our showroom will be made over, offering a new layout with a sophisticated and refined design. The event rekindles the evening lights on the design district in the heart of Milan, offering an evening of the best Italian design: a festive moment to allow oneself to be inspired by all the latest innovations in interior design. 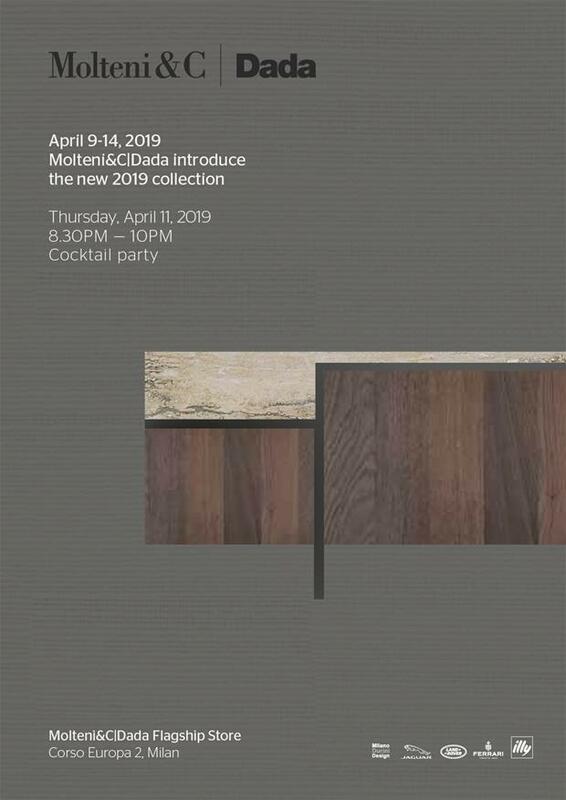 The exhibition space will include various rooms of the house, prominent among which are: the Ratio kitchen, the new living project by Vincent Van Duysen and numerous new elements such as the new table designed by Foster or the one created by Rodolfo Dordoni. Among all these innovations, one cannot miss great design classics such as the D859.1 Table by Gio Ponti, designed in 1959 and re-proposed here in a new version. Never-ending inspiration in an event entirely dedicated to interior design enthusiasts! Book your place at our event!